'Wellness Around' is the most extensive wellness & spa scheme in South Tyrol. Enjoy relaxation to the fullest as a guest of a Dolce Vita Hotel in Naturno or Latsch near Merano - you will have access to all spa facilities at all Dolce Vita Hotels. This includes 24 outdoor and indoor swimming pools (an expanse of 1,847 square metres of water), 8,840 square meters of wellness & spa facilities, 31 saunas, 744 day beds, 870 square metres of fitness facilities, 11,825 square metres of parks and gardens and 33 spa specialists. Wellness and spa in South Tyrol: the most pleasant beauty and relaxation treatments will spirit you away into a world of well-being. South Tyrol will enchant you with five cosy Dolce Vita Hotels. 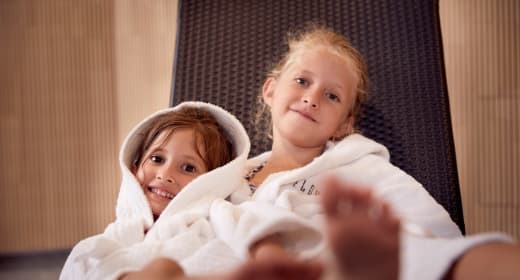 Excellent massages, soothing spa baths, body packs and beauty treatments are beckoning you to indulge in a relaxing holiday in the Vinschgau Valley. Your well-being will be in the best hands at the five leading spa hotels in the sunny Vinschgau Valley during your holiday. The beautiful landscape, pristine nature and fantastic ambiance will make every day of your holiday at a Dolce Vita Hotel a unique experience. Relaxation in South Tyrol: send a no-obligation holiday request for your trip to the Vinschgau Valley today.